Mitsubishi Electric has just launched its 2019 air conditioner deal. 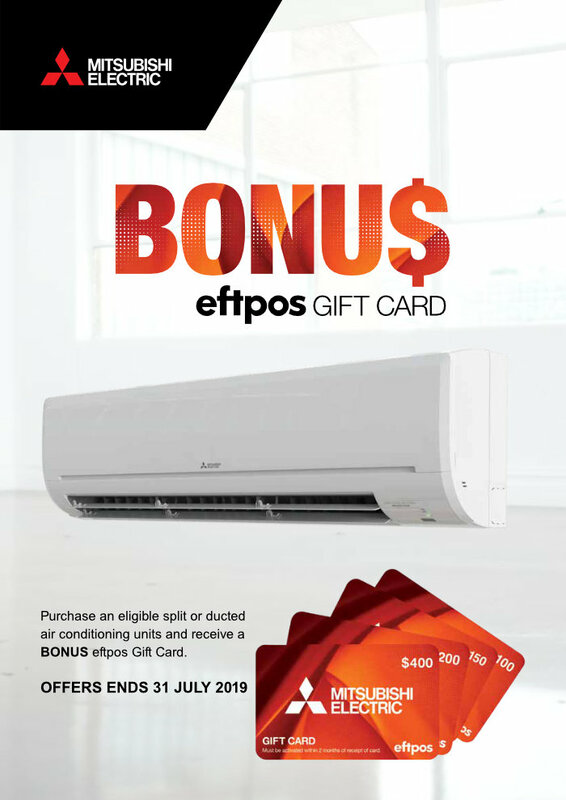 The Mitsubishi Electric 2019 Winter Gift Card campaign offers customers the opportunity to earn a Bonus EFTPOS Gift Card up to the value of $400 when they purchase an eligible split system or ducted air conditioner from 1 April 2019 to 31 July 2019. Autumn and winter are great times to upgrade your old air conditioning system or install a new air conditioner as air con companies often offer great deals like this one. A reverse cycle air conditioner affords a one-appliance, energy efficient heating and cooling solution for your home. Providing a year-round climate control system at the touch of a button. How can I get in on this great air con deal? Receipts must be clear and copied in full. Try to claim after the Redemption Period of 31 August 2019. Flooring - carpet or tiles - carpet can help keep a room warm in winter whereas a tiled floor can mean you need more heating to maintain a comfortable temperature. Room aspect and windows - if the room gets the full force of the afternoon sun and large windows or glass doors you could benefit from more powerful air con to keep the space cool on hot summer days. Not sure where to start? Our experienced air conditioner technicians can provide expert advice on choosing the perfect air conditioning system for your home as well as professional air conditioner installation services across the Sunshine Coast and Brisbane. Contact our team today on 1300 139 039 or complete our air conditioner booking request today. Who Says Electricity and Water Should Never Meet? The great thing about our line of business is that every day is different. One day we could be installing an air conditioning system and another day we could be wiring a new build. We don't just work by ourselves either – sometimes we're asked to assist on sites where the focus is on bringing in the project on time and on budget which means there can be a mix of trades all working around one another to get the job done. So what's this got to do with finding a good plumber? Well, it's simple really. Despite the age-old saying that electricity and water should never meet, we often work in close proximity with plumbers, getting to know them on a personal level as well as experiencing their quality of workmanship and reliability. This means that should any of our clients ask whether or not we can recommend a good plumber in Brisbane, you know what? We can. Likewise, should we need to rope in a plumber as part of a project we may be involved in, then we've got a few names to choose from. We're happy to recommend other trades, since we know that they will do likewise, and recommendations are always a great way of building any business while helping the community in Brisbane. One such plumber that we often cross paths with is Brisbane Plumbing and Drainage. We service a lot of the same areas in and around Brisbane, so I guess it's only to be expected. As an experienced and reliable plumber in Brisbane, they provide a vast array of residential, commercial, and industrial plumbing services together with gas fitting services. Operating a large team of fully qualified licensed plumbers and equipped with a wide range of spare parts and components for all leading brands, they can on most occasions diagnose and fix all plumbing problems the same day. We're living proof that electricity and plumbing can indeed mix and together we can take your vision and turn it into a reality; be that a bespoke spa bathroom complete with a state-of-the-art shower or a kitchen renovation with layered lighting and instant boiling and chilled filtered taps. Whether you need your wiring checked out, lights or fans installed, your air conditioning units serviced, data communication services, or more, just give Static Electrics a call on 1300 139 039 and speak to our team of friendly experts. Electrical Safety Obligations For Landlords – What Exactly Are They? As a landlord or letting agent, you're probably aware that you have a number of obligations that you need to fulfil for your tenants. Under the Registration of Tenancies Act, 1997 landlords need to ensure the rented accommodation is in a good state of repair and maintained in good order. So factors such as ensuring a good standard of general building maintenance are obvious, but what about electrical safety? Do you have obligations and if so what are they? The correct use and maintenance of existing appliances which adhere to or follow manufacturers' guidelines. Failing to meet these basic requirements may cause property damage in the event of a fire, injury or death of a tenant and probably, a very expensive lawsuit. Before letting or re-letting, landlords need to ensure proper cleaning and servicing of electrical appliances in accordance with the manufacturer's guidelines. Careful attention should be paid to a build-up of dust, particularly in and around heaters and cooling fan inlets. Check all plug points and outlets for any signs of wear and tear, including browning or charring of sockets or cable fraying, and replace any plugs, sockets, or cables that could be potentially dangerous. In addition, any appliances such as toasters, kettles, or heaters with faulty switches should also be repaired or disposed of and replaced. Finally, ensure all ventilation openings are both clear and unobstructed and record all work or undertaking on a document. This way when it comes to the time when a tenant signs a new licensing agreement you can prove that you've fulfilled your end of the deal. But also it covers you just in case there is any kind of dispute. What about carrying out electrical work? The first thing to remember is that it's illegal for a non-qualified person to perform any kind of electrical work. While it can 'null and void' any insurance you might have, from a practical perspective, it's also dangerous. For this reason, it's important to check that the contractor is fully legal to perform the work. After any work is carried out, the contractor should always issue a Certificate Of Electrical Safety (COES). By following these electrical safety obligations, as a landlord, you can rest assured that you have done all you can to ensure the safety of your tenants. If you need further peace of mind, then you can always contact Static Electrics. As a fully licensed company with experienced electricians, we can also carry out domestic electrical safety checks to ensure the safety of your tenants. So give us a call on 1300 139 039 and let's talk. Security is a no-question necessity. We don’t need to think about it. It is the only thing that makes us safe. It avoids us from getting hurt and being abducted or robbed. There are a lot of employees that their job is to secure. For instance, a security guard that secures buildings, businesses, and even houses. It’s not just people who can do it. Even things can help protect us from harm. Just like CCTV camera systems. Closed-circuit Television camera system or CCTV as known by many is a TV system that is used for surveillance and for security purposes. Its contents or videos are being used for crimes and presented as evidence in the rule of law. These cameras are also a strong deterrent for criminals since if they know that there is a CCTV in the area or house, it is most likely they will not continue to do the crime. Digital video recorder - DVR - It is basically the computer that saves security videos into a hard drive. Network video recorder - NVR - It’s a program or software that records video into a digital format which can be saved to a storage device like SD memory cards, external drives, flash drives and etc. IP camera - Internet protocol camera. It is being used to have the ability to send and receive data through the computer’s network and into the internet. ‍Analog camera - has a lower resolution compared to IP camera. It is also connected to a DVR. Indoor Camera - used in homes, offices, restaurants, etc. Outdoor Camera - used outside wherein they have limited night lighting. IR day/night camera - used in a high level of security areas such as military camps and other security zones. Dome Camera - installed where there are many people present always in a certain area like subways and bus stations. There are some things that we always take for granted. But don’t do it for your security. Some CCTV systems may come costly but if it’s for the protection of your family at work or people from work, isn’t worth it right? 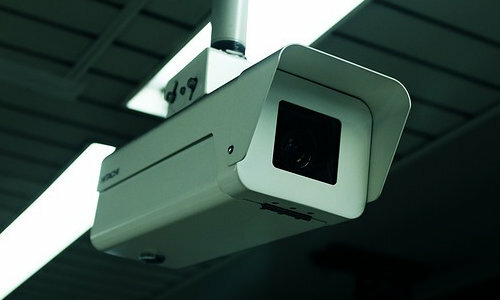 Static Electrics is there to install CCTV camera systems whenever you wish to. We can provide free quotes on new installations where we present your options and pay once you agreed to it. 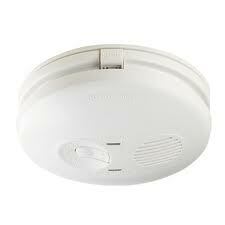 Smoke Alarms - Is Your Home Safe From Fire? Many of us in Brisbane and the Sunshine Coast welcome the slightly cooler days of autumn but unfortunately this time of year also sees an increase in electrical fires, as people switch on their fires and heaters to keep the chill at bay in the evenings. When it comes to residential fires, the statistics make pretty grim reading, with approximately 2500 people killed each year and another 500 people losing their lives to the effects of carbon monoxide. Sadly, many of these deaths could have been avoided with the installation of smoke alarms and carbon monoxide alarms throughout the property. So let's take a look at the different types of smokealarms which you could use in your home to help protect yourself and your family. These types of alarm will detect the presence of flames from cooking fires or from burning paper but they're not so adept at detecting a smouldering fire from say, a burning mattress or couch. Unfortunately, because these alarms often nuisance trip, if you burn the toast for example or add oil to a hot pan, many people disable them. These particular smoke alarms respond faster to an early fire which is still in the smouldering stage because of the fact that they're more alert to the combustion particles which emanate from slow smouldering fires, which often occur when people are asleep in their beds at night. These include both photoelectric and ionization sensors which should give homeowners adequate warning of a smouldering fire or one with active flames, providing you with superior protection. This highly toxic gas is silent and odourless and can render a person unconscious in an instant. The greatest cause of death through carbon monoxide is through faulty gas heaters. If you're hard of hearing then you may struggle to hear alarms, especially if you're on your own at home. However, there are specialist alarms which can be placed beneath your pillow and which contain a vibrating pad and strobe light which are activated if your smoke alarm sounds. To provide even greater protection it's advisable to have all of your firealarms linked and this means that they'll all emit simultaneous sounds when triggered, giving you an earlier warning of danger and a longer response time. If your house isn't equipped with smoke and fire alarms and carbon monoxide alarms then in the event of a fire or carbon monoxide leakage, your family could be in severe danger. Why take the risk when for a relatively small outlay you can have alarms installed to give yourself and your family peace of mind. If you need advice or help with the installation of smoke alarms in your home, then give us a call and we'll send round one of our electricians. Call us today on 1300 139 039.